Junk King Detroit appreciates that you might have a hectic schedule and the only time available for pickup would be on the weekends. That’s why they will accommodate your time off and provide junk removal service when it best suits your schedule. All they ask is that you set aside a two-hour window to give them enough time to get from one appointment to the next. When you get right down to it, it doesn’t take a lot of time to move a sofa out of the house. The only time the Junk King crews are slow down is when they have to take something apart. But even then, you would be charge for extra labor fees. Your only cost will be based upon an estimate of how tightly they’ll be able to pack up the truck with all your stuff. You’ll know this price before the work begins and it won’t change when the work is complete. When you discover how easy it is to work with Junk King Detroit you’ll become a loyal customer, too. All it takes to get rid of all your unwanted clutter is one call to Junk King Detroit today. 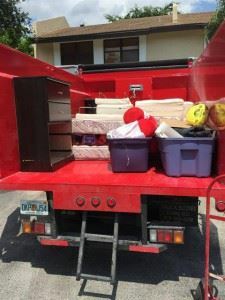 This entry was posted in Detroit Junk Removal and tagged junk king, junk removal, reviews on September 25, 2017 by Junk King. Last updated September 25, 2017 .